In the improbable world of litigation, the most remarkable situations arise. For example, the case of the wandering cow. In the early hours of the morning, outside of Bakersfield, an unbranded, black heifer wandered onto a rural highway. The 2008 recession hurt small livestock operations. Between the California drought and the weakened economy, the costs of maintaining livestock became unsustainable. Many small operators simply turned their animals loose to meet their fate. Sometimes the animals were found and rescued. Other times, they were not. Rural Kern County supports many dairy farms. Drivers of tanker trucks collect the milk, then transport it to central facilities for processing. On the morning of this story, one of those milk tanker drivers picked up his load of milk and was taking it to the processing plant. The road was dark and unlit. There was a rise in the road and perhaps the driver dozed a little. Suddenly, the cow was in front of him. 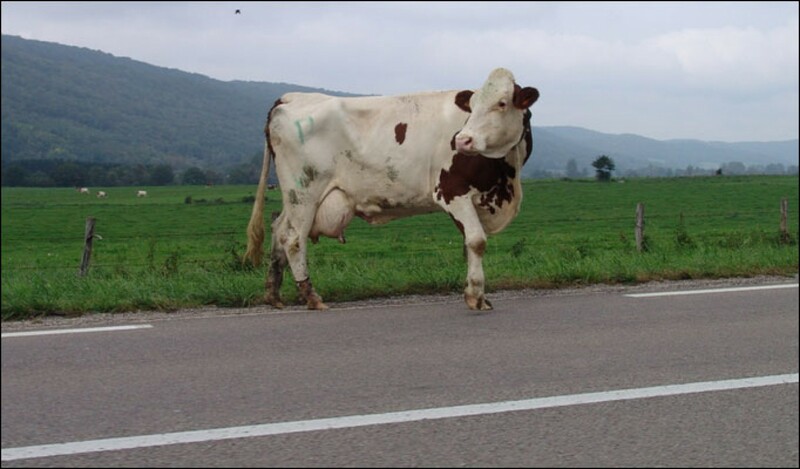 The driver swerved to avoid the cow, or perhaps he just hit the cow and ran off the road. The cow was killed instantly. The truck drove through fences, into a field and overturned. It was hours before the accident was discovered and the driver rescued. Of course, a lawsuit followed. The closest landowner was sued as the presumed owner of the wandering cow. However, no one could prove who owned the cow. There was no confirmed brand. The defendant kept branded steers, not unbranded heifers. The cow had a vaccination tag from Idaho, but there were no records tracing its move from Idaho to California, and no auction records documenting purchase in California. Ultimately, the court decided the landowner obtained summary judgment when the trial court ruled plaintiff had not established ownership of the cow, thus no duty of care existed on the landowner’s part. To paraphrase Inspector Clouseau: that’s not my cow.